Networking. The word just sounds intimidating. But really, you already have a network; you probably just didn’t know it. Think about your friends, your friends’ parents, your parents’ friends, your professors, your classmates, and your coworkers. All of these people are in your network. It is up to you to decide whether or not to use your network to find opportunities that you may not have heard about elsewhere. Somewhere between 75% and 95% of job opportunities are never advertised but are filled by word of mouth. This is why networking is so important. Traditional networking involves letting everyone you meet know that you are looking for opportunities. Tell them what type of position you are looking for, in what field. Also tell them about any professional interests you might have. You never know when you might meet someone who knows of an opportunity that would be perfect for you. Employers know that those referred to them by people they know are often the best candidates. Always be on the lookout for networking opportunities, such as Chamber “After Hours” events, or community activities such as Relay for Life. Professional associations can be helpful for someone just starting out. Join as a student member (often it is cheaper that way!) to begin networking with professionals in a field you would like to get into. Professional associations often hold conferences and meetings at which there are many influential people. Start introducing yourself to these people and everyone you meet as soon as possible. The more often employers see your face, the more likely they are to remember you when it’s time to hire. Social networking sites have become some of the main platforms used by employers to advertise career opportunities and answer questions. Sites like Facebook, Twitter, and LinkedIn have the power to enhance your career. By learning how to properly market yourself on a networking site, finding a job could be much easier. Twitter is seen by many as a social networking and blogging service, but many companies also use it to job search. Twitter even has a job search engine that specifically caters to help facilitate job listings. JobShouts.com allows employers to post their job listings for free and then the listings are “tweeted” out to users on Twitter. Employers also use Twitter to show what their company is doing while using it for recruitment purposes. The Career Center even has a Twitter page where they post happenings and important job advice and information (@tsucareercenter). Facebook can be used for more than just reconnecting with old friends. In fact, some say it can help with professional networking. Since Facebook is packed with many different applications and features, experts advise you to downsize your profile if you want to use it for professional networking. LinkedIn is a professional networking website with over 100 million users worldwide. It is used to keep track of your professional network, track companies, and make connections. The following is a brief rundown of how LinkedIn works. Connections are the people in your LinkedIn network. Each connection is a person that connections, but you have access to their connections (called second-degree connections) and their connections (called third-degree connections). If a second-degree connection has a job that you would love to know more about, all you have to do is ask your common connection to introduce you. Unlike Facebook, it is okay to message someone you do not know to ask about their career path; that is what the site is for. That does not necessarily mean that they will answer, but it is okay to ask. Companies are organizations that have made a page on LinkedIn. By clicking on a company name, you will be able to see a few LinkedIn members who work there. You can also see some statistics about the company. Some users may choose to “follow” a company. When you follow a company, you can see their updates on your home screen. Whenever the company posts new jobs, LinkedIn alerts you. This is a good idea for anyone who wants to get a job with a specific company but is waiting for the right opportunity to present itself. Another great thing about LinkedIn is that if you do find a job at a company that interests you, LinkedIn will show you if any of your connections work at that company or have other connections at that company. That way, you could be personally recommended for the job instead of going through the normal online application and recruitment routes. Profiles on LinkedIn are quite different from profiles on Facebook. LinkedIn profiles feature a person’s work experience and education. There are opportunities for others to post recommendations of your work on your profile for other potential employers to see. There are areas in your profile for professional interests, activities, and organizations. Overall, there is much less personal information, such as interests or pictures than on Facebook. 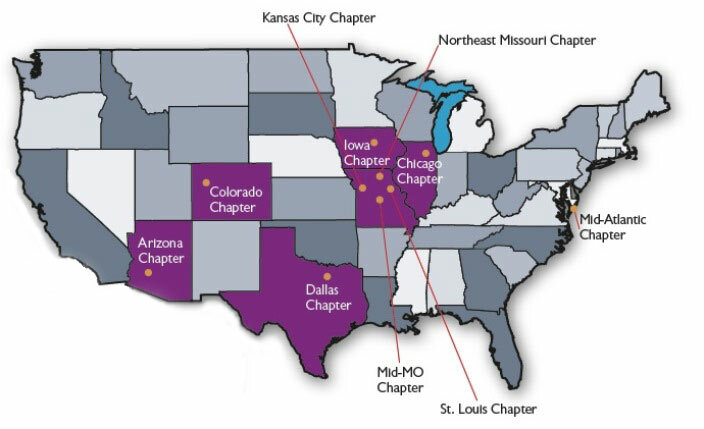 Alumni Chapters aren’t just for alumni — all Truman students are invited to join any of Truman State University’s regional Alumni Chapters. In addition to getting your Alumni Chapter membership for half price (one of the perks for Truman students and recent grads), you also receive exclusive membership discounts and invitations to fun events. Most important of all, you get a jumpstart on expanding your Truman network and start building professional connections right away. For help with networking or other career-related issues, come see us in the Career Center.